Craspedia are rosette-forming herbs with secondarily compound capitula (glomerules) that are borne on erect, unbranched scapes. 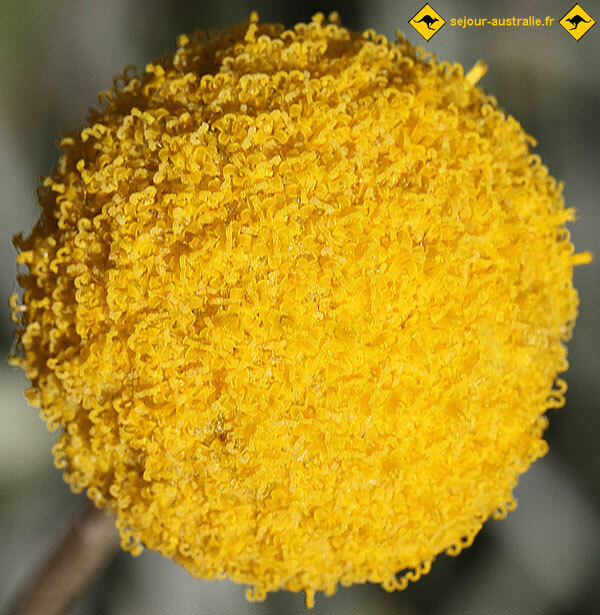 The glomerules or flower-heads are hemispherical to spherical (like pom poms) and are formed of a massive aggregation of tiny flowers (florets). Most species are perennial with one species recorded as annual. Leaves have considerable variation in form, they range in colour from white through to grass green, and are often covered in fine hairs. 17 species are currently accepted in Australia.